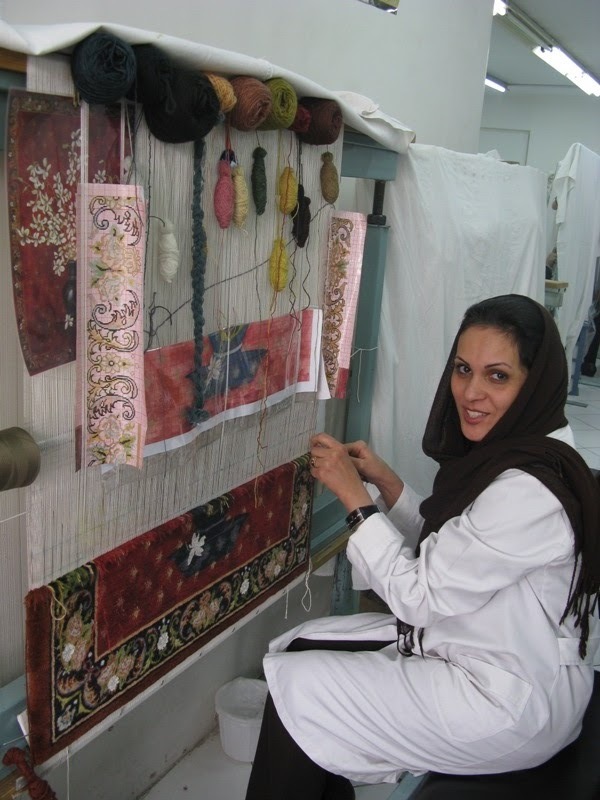 Majid collectable Persian and Modern design Rugs, Persian Carpets and Persian Kilims: My sister weaving a tree of life-Vase design rug, 1000,000 knots per sq/ metre, Symmetrical knots, This photo is taken after 15 months of weaving. still long to go. Good on her for keeping the tradition alive.